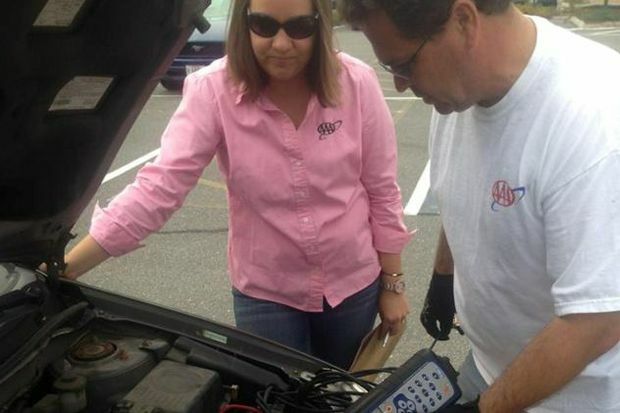 October is AAA Car Care Month and AAA Texas is reminding drivers about the importance of properly maintaining their vehicles for the change in seasons. There are a few simple things every driver can do to make sure their car is ready for the road. “Properly preparing your vehicle for the next season of driving is essential for driver and passenger safety and will greatly decrease the chances of your vehicle letting you down,” said AAA Texas spokesman Doug Shupe. Approximately 83% of Americans do not know how to properly inflate their tires, according to the Rubber Manufacturers Association. The pressure on all tires—including the spare— should be checked monthly, with a quality gauge when the tires are cold. Proper pressure levels can be found in the owner’s manual or on a sticker most often located on the driver-side door jamb. Do not use the pressure stamped on the sidewall of the tire. Note that the pressure levels on some cars are different for the front and rear tires. Every driver at some point deals with a flat tire. Click here for a step-by-step video that shows how to prepare for and repair or replace a flat tire. If you don’t want to change a tire, consider becoming a member of a motor club, like AAA.